The Antikensammlung contains an important gem collection by Dressel, who did his collecting in Rome before 1885 and was later head of the Münzkabinett in Berlin. He died in 1920, when his gems (743 in number) were given to the Berlin Antiquarium, already a major repository of ancient gems, catalogued by the great Furtwängler. Dressel’s career and collecting activity is carefully recorded and assessed here. The collection includes many pieces already known through the publications of Furtwängler and others, and is not altogether confined to the familiar range of the gems available on the Rome market. The catalogue wisely assembles in a single section the late Hellenistic, Italic and Roman, divided by subject; the Italic is well represented in the collection. Good photographs of the original gems are reinforced with illustrations of casts where necessary, which is wise since photographs of the original stones can sometimes deceive, distort or obscure detail. 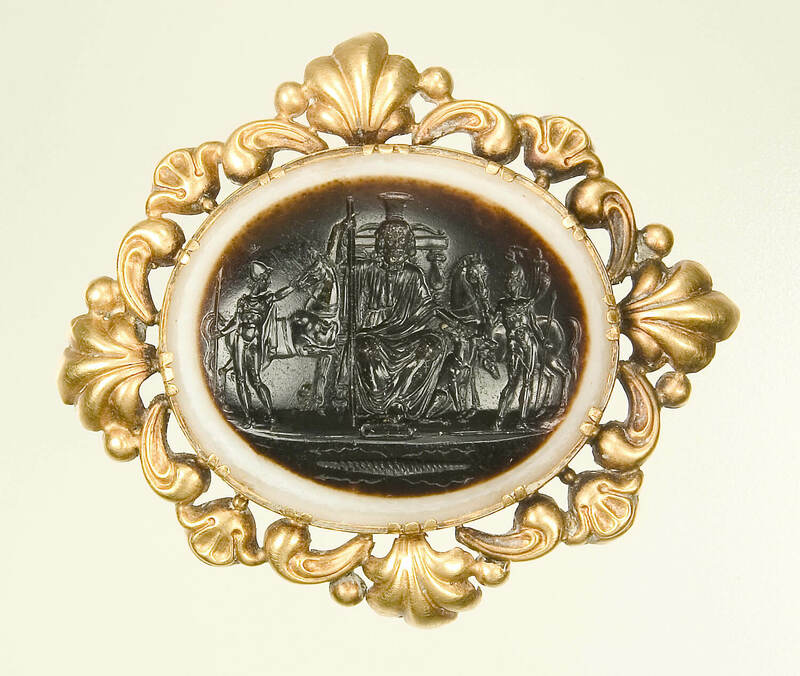 I notice especially the amethyst fragment of a large Hellenistic intaglio with Apollo (16); what seems a head of Mars admiring a pinax with Venus (32); a strange large Asclepius with a large snake (50); Eros with biga (60) like the odd Pompeii piece (see Pagans and Christians. From Antiquity to the Middle Ages. Papers in Honour of Martin Henig, Presented on the Occasion of His 65th Birthday  76); Eros frightening a Psyche butterfly through a massive mask (65); Africa riding a lion (174); a large Athena Lemnia bust (180); a disrobing Venus or Hermaphrodite associated by Weiss with the engraver Aulos (225); a strange barbarian rider (402). There are a few cameos, too often omitted in catalogues.